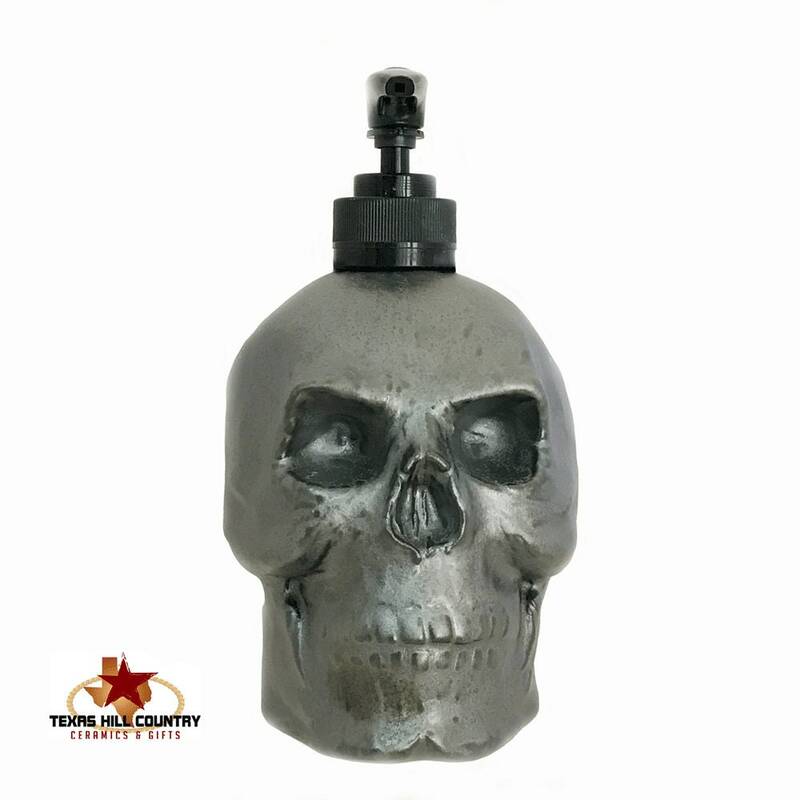 This burnished steel look ceramic skull soap dispenser and holder is ideal for any industrial style bath vanity or kitchen. It is also perfect for Halloween decorating or for those that love a little horror mixed in with existing bath or kitchen decor. 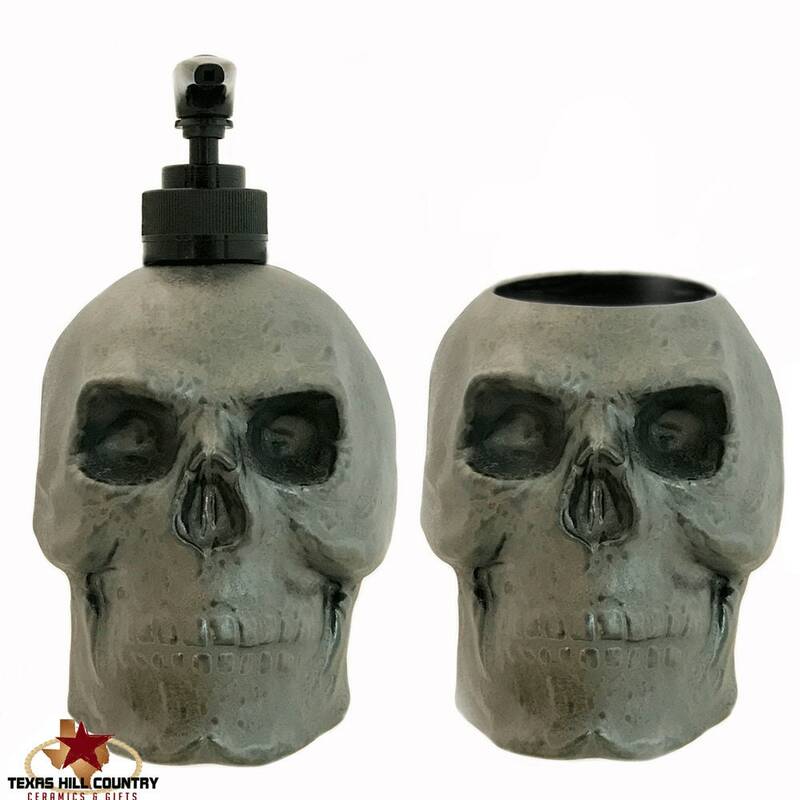 This ceramic skull dispenser can also hold hand sanitizer and kids will love getting a squirt of it on their hands! Made to Order, see processing time in the Shipping Section. 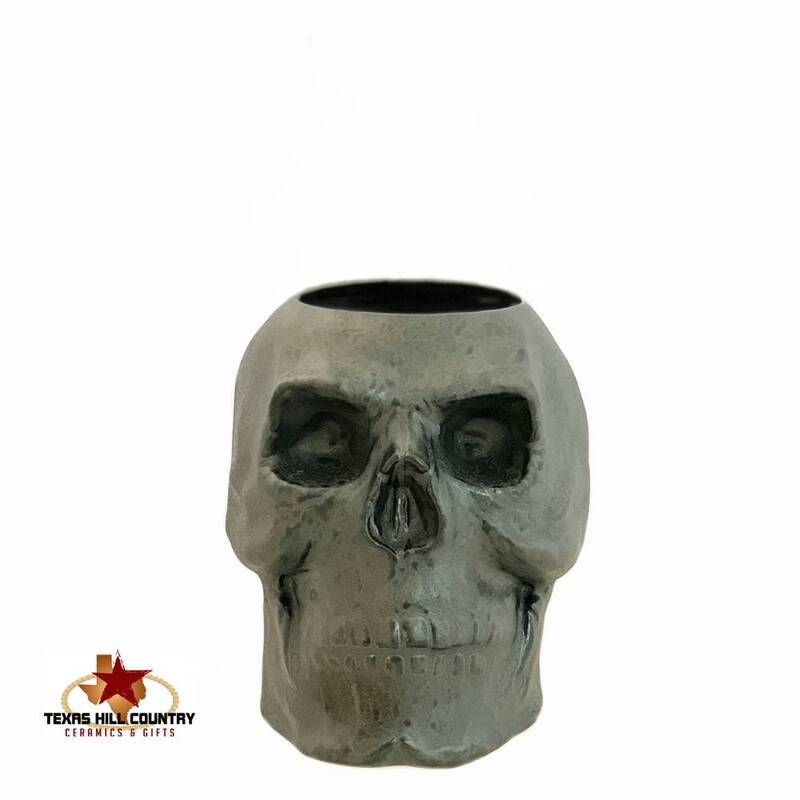 The burnished steel skull set is made of kiln fired domestic clay This human skulls are finished with lead free glaze on the outside and clear lead free glaze on the outside for longer life. This dispenser and holder is made for fun, what better way to add a little creepiness to any Halloween party setting. Please keep in mind each set is hand made and has its own individual characteristics and there may be slight variances on the one your receive from the one in the photo.